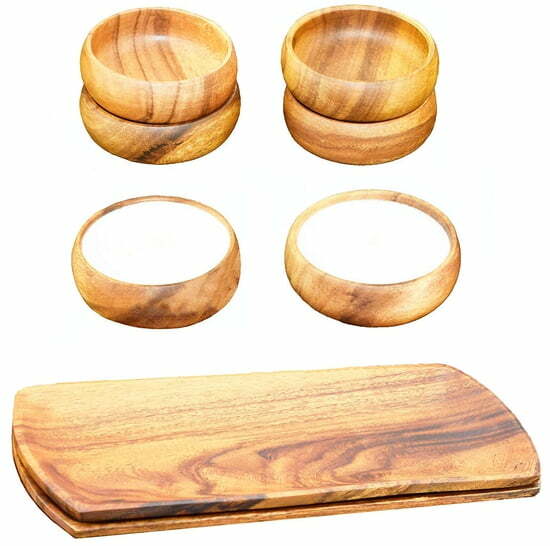 These beautiful, hand-turned Acacia wooden serving tray, candles, and small bowls by Pacific Merchants will look great on your dining room table brimming with chips, gravy, or condiments. Our acaciawood products are the essence of fine decoration and function. Whether your Acaciaware® products are functional or decorative, everyone can appreciate the unique look and feel of natural solid hardwood serveware.